Our funeral homes provide green burials and eco-friendly funeral services for all of Lancaster County. Lancaster County is one of the most beautiful areas in Pennsylvania. Having lived here for three generations, we are committed to keeping it that way for generations to come through conservation and care of the Earth and her resources. For individuals and families who wish to make sure their funeral services do not leave an impact the world they are departing, Charles F. Snyder will operate as a green funeral home. To satisfy different families’ philosophies, values and religious traditions, we provide a range of eco-friendly funeral services that differ in the level of green standards that they meet. What is involved in green burials? The Charles F. Snyder Funeral Homes offer eco-friendly funeral services that follow the standards of the Green Burial Council (GBC). The GBC outlines that a burial is considered green when it supports environmental goals such as conserving natural resources, reducing carbon emissions, preserving natural habitats and protecting worker health. They have developed standards for funeral homes, burial products and burial grounds, which we follow in order to receive our certification. Charles F. Snyder Funeral Home & Crematory is the only funeral service provider in Lancaster County to be Green Burial Certified by the Green Burial Council. What makes Charles F. Snyder a green funeral home? All three of our funeral homes provide eco-friendly funeral services that fully comply with Green Burial Council standards. For green burials, our embalming is formaldehyde-free to ensure that no chemicals will impact the environment. And while PA law currently requires embalming for all open-casket viewing services, Charles F. Snyder can eliminate the embalming process entirely for families not choosing an open casket. If the family wishes to have a public viewing, our funeral directors will use eco-friendly cosmetics and apply only a minimal amount to restore a natural appearance. Eco-friendly caskets are made from sustainable products, use no metal, and will eventually biodegrade without impacting the environment. We have a wide selection of green burial products that are bio-degradable, non-toxic, and made from environmentally-friendly materials that are harvested and manufactured in sustainable ways. Our green caskets use no metal, and will eventually biodegrade with no environmental impact. Most are made from sustainable hardwoods, reeds or grasses, and wooden pegs are used for most joints. Any glue that is required is non-toxic and biodegradable. Families interested in a fully-green burial should check with their chosen cemetery, the Green Burial Council, or a Charles F. Snyder Funeral Director to see how environmentally-friendly their services are. Some cemeteries require a grave vault or liner be used, which is considered “less green” than committing remains to the ground without a concrete or metal enclosure. Mellinger Mennonite Cemetery in Lancaster, PA is currently the only cemetery accepting both shrouded and no-vault burials and is recognized by Green-Cause.org as an eco-friendly cemetery. 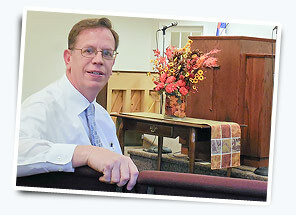 Mellinger is located at 1918 Lincoln Highway East in Lancaster, adjacent to the Mellinger Mennonite Church. Does Charles F. Snyder offer green cremations? Cremation urns come in a wide variety of eco-friendly styles and are used in both green burials as well as other traditional funeral services. While cremation does consume fossil fuels, modern facilities like our on-site crematory on Lititz Pike actually have a smaller carbon footprint than most traditional funerals. The energy used in the harvesting, manufacturing and transporting of burial products typically exceeds the energy consumption of modern cremation. While the GBC does not certify cremation disposition programs, Charles F. Snyder can conduct a green burial involving cremation by carefully controlling the funeral services and properly selecting eco-friendly cremation receptacles.